3 Full Time Crew positions are available for the 2019 season. 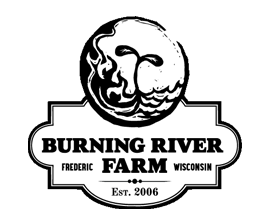 If you are looking for a rewarding and demanding position, and to gain experience and training on a working farm, this position might be a great fit. Experience is preferred but not necessary. We pay an monthly salary. Housing is provided. Positions run from April 1 to October 31. Click here for the full job description. Click here to view the housing agreement. Part time work is available on the farm from early May to late September, assisting with weeding, harvesting, packing and planting for 3-4 days per week. Starting pay is $13/hr. Some produce is available at no charge to employees. Basic housing is available at no cost during scheduled work days for those living outside the immediate area. Contact the farm to inquire about openings. Help is needed during the summer at the Mill City Farmers Market. Market Assistants must have excellent customer service abilities as well as the ability to inform and communicate clearly, add and make change quickly and accurately, and be punctual. Compensation is $13/hr plus available produce. Contact the farm for more information.